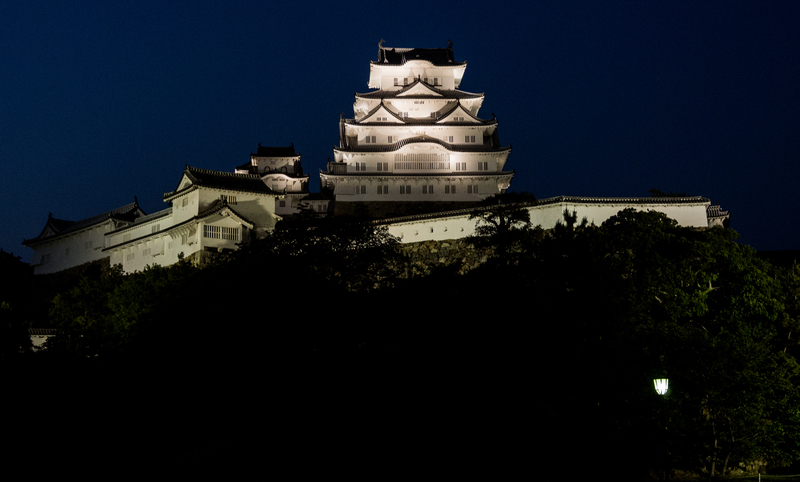 The final destination on my Golden Week tour was a quick one night stop off in Himeji – a town about an hour outside of Osaka which is home to perhaps the most famous castle in Japan. The main reason anyone comes to Himeji! After a two hour bus journey from Tottori (at a much more reasonable ¥2400 as opposed to the Hiroshima – Matsue bus! 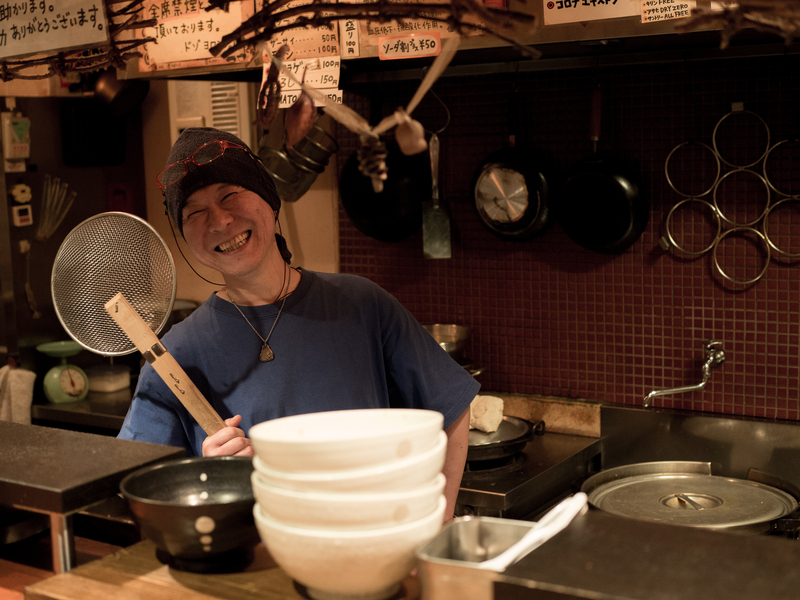 ), I arrived in town, very quickly dropped my bag off at Himeji 588 Hostel and headed out in search of food. I’d read online about a popular ramen shop called ‘Koba and More’ and thankfully it was just a few minutes’ walk from the hostel so I made my way there. This turned out to be an inspired decision as Koba was a great host and cook, and his shop was decked out with hundreds of jazz vinyl records which I could have spent hours looking at. As I’m sure regular readers will know by now I’m always tempted by the more obscure items on the menu (to put it lightly! 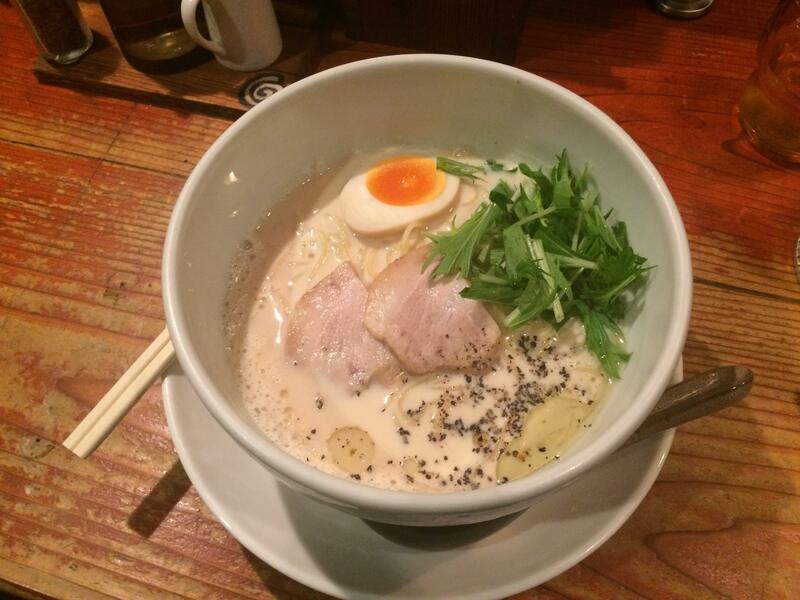 ), so it should come as no surprise to hear that I opted for the milk ramen at Koba’s place! Yes, that’s ramen made with milk. Many people I’ve mentioned this to since trying it have pulled a face, but I can honestly say it was the best ramen I’ve had in Japan which is a huge shout! Despite signs in the shop saying that photography wasn’t permitted (with exceptions possibly made for foreign visitors! ), Koba was kind enough to let me take a few pictures which unfortunately don’t do justice to the man and his shop. Ah well, I’m still a beginner and I’m sure you get the drift! The real reason people should be coming to Himeji! After that it was time to tick off the only real thing on my Himeji agenda: the castle! 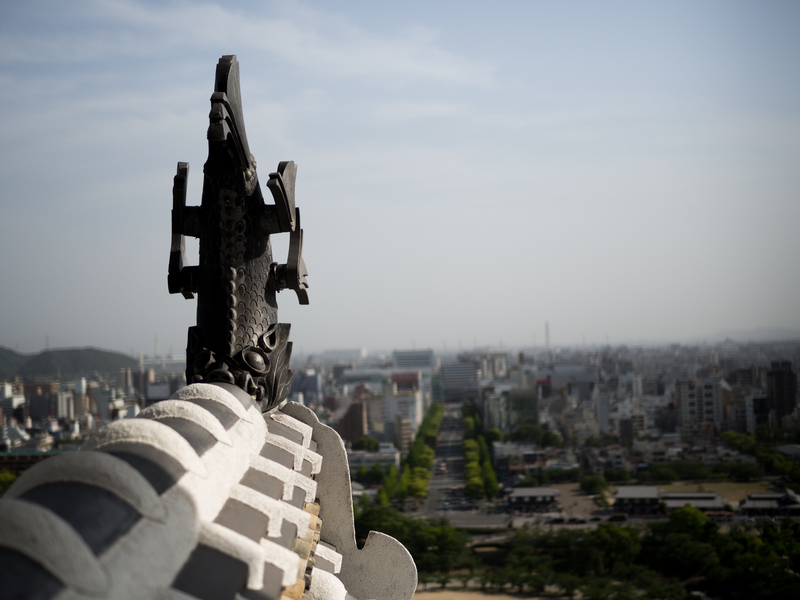 Despite spending most of my time whingeing that all Japanese castles are pretty much the same, I was very keen to check out Himeji-jo. It’s quite an iconic image and as far as Japanese castles go it does stand out from the others thanks to it’s completely white paint job. Because you can never see the same building from enough angles. As per usual I probably didn’t get my money’s worth as I parted with my ¥1000 and just did the circuit of the castle to the top, took a few pictures and called it a day. 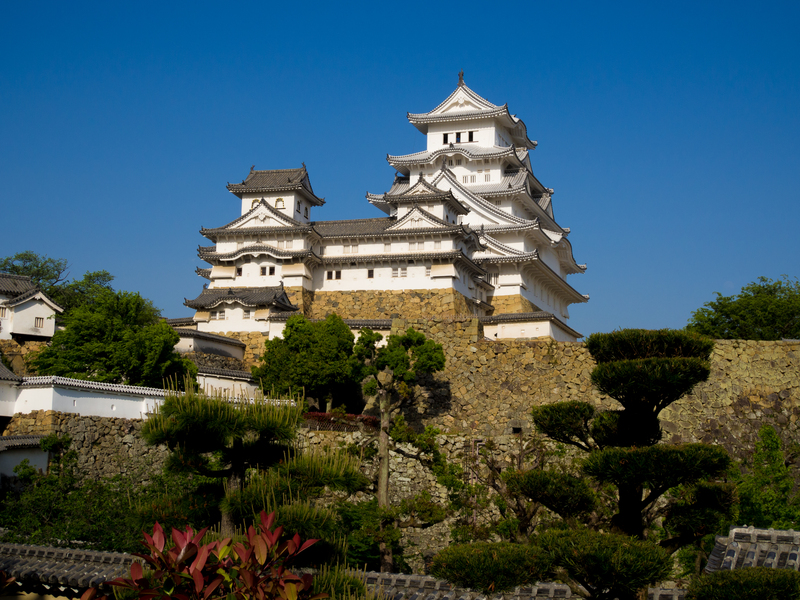 Like a lot of popular Japanese tourist spots, there’s a designated route up and down the castle so there’s very little freedom to explore at your own will. 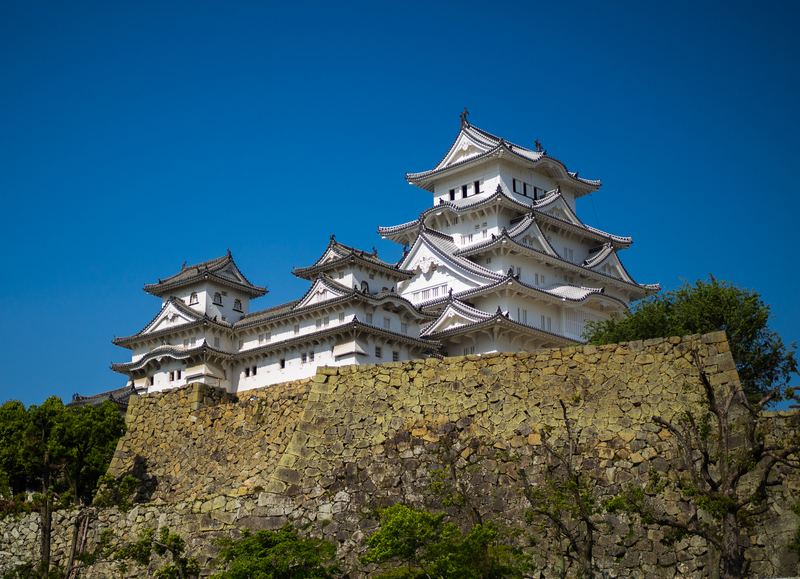 Strangely though, unlike most castles I’ve visited which seem to be jam-packed with historical stuff and information, Himeji Castle was practically empty inside barring a few informative signs and the odd remnant of history here and there. In hindsight this was probably a good thing as I often leave these places feeling guilty about not actually stopping to read or learn anything! The closest thing I got to a picture of the view! The plan for the evening involved the castle again, as Kyoko from the hostel had decided to hold a night picnic in the castle grounds! As there were only three guests that night, she cooked up some great food for us, the staff and a few of her friends and we spent a good few hours eating and drinking in the shadow of the castle. The castle looked awesome in the dark and the lit up white walls were really something. The picture won’t do it justice, but you know how to use Google right? One thing I did realise though at this picnic is that I’m probably not built for traditional Japanese life! After a few hours of sitting on a mat on the ground my back and entire lower body was in bits and would continue to ache for about three days. I felt like I’d just played a game of squash, not sat around getting pissed for a few hours! With the revelation that I’ve got the body of a pensioner my Golden Week holiday drew to a close. I took an early train the next morning to Kansai International Airport for a ridiculously cheap ¥4000 flight back to Tokyo and that was that. I also managed to leave my flat cap in the hostel that morning, maybe it’s not just my body that’s getting old.